Hey lovelies, it is summer and all our skin needs is refreshment and hydration! To tell you the truth the product I will talk about has been a part of my daily routine for a lot longer than just the last month. When I like something, I tend to use it as often as possible and this body lotion is exactly this! This lotion by Uriage is the perfect after shower product for normal to dry skin. It smells good, feels good and definitely brings immediate results to my skin. I love how easy it is to use because of the strong and stable bottle, as well as the handy pump. It pumps out exactly the necessary amount I need to apply. But let’s see more details given by Uriage. 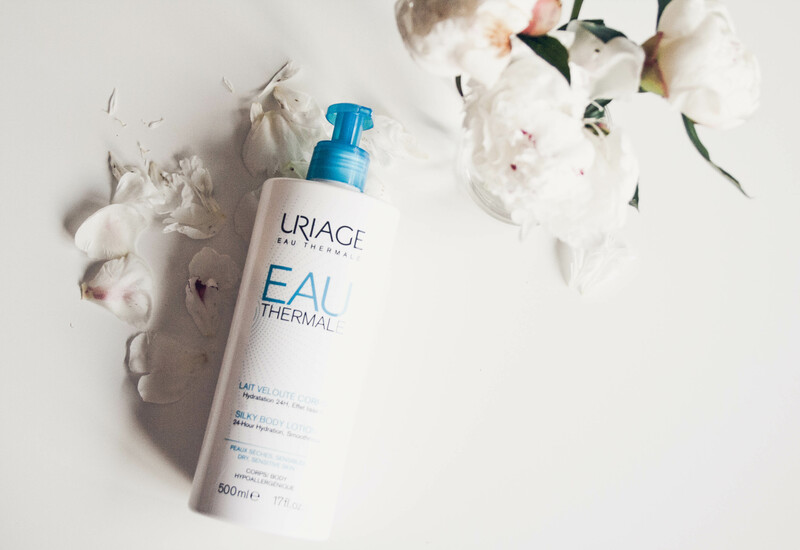 The Uriage Thermal Water in it acts as an active hydrant; Shea butter has a soothing and nourishing effect and hyaluronic acid acts as a skin barrier preventing any inflammation and external negative effects. This product keeps me hydrated all day due to its hydrothermal complex providing better elasticity to my skin. If you are looking for the after-sun product to calm and hydrate the skin of every member of your family, this is the right choice. This body lotion is silky and smooth, soaks in quickly and leaves no greasy trails, smell is subtle and very pleasant, and if I haven’t been able to convince you of its instant freshness and magic yet, just go check it out in the nearest pharmacy!